Shopping in Beachwood for housewares, home goods and home décor ideas? 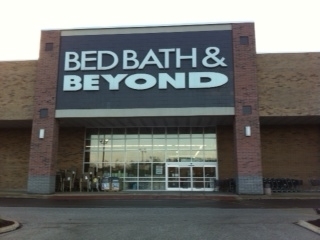 The Bed Bath & Beyond® in Warrensville Heights just off I-271 at the Harvard Road exit is the place to go. Whether you live, learn, work or play in the area, you’ll enjoy shopping all the brands you love at the nearby Bed Bath & Beyond® located at 4031 Richmond Road, Warrensville Heights, OH 44122; (216) 593-0320. This location features a Harmon® Face Values® filled with a wide variety of discount cosmetics, health and beauty supplies. Hosting a celebration? Use the gift registry feature to create or shop a baby registry, birthday registry, anniversary registry, housewarming registry or special custom occasion registry; friendly and knowledgeable associates are available to help with your selections during store hours. Going to Case Western Reserve University or another fine school in the area? Use the college checklist to get tailgating supplies and dorm essentials such as sheets, comforters, towels, shower curtains and coffee makers. Visit this store to buy pillows, curtains and rugs; browse bedding such as shams and duvet covers; compare garment care and storage solutions; shop seasonal décor, clearance merchandise and so much more. Stop in today to see the latest home décor trends.